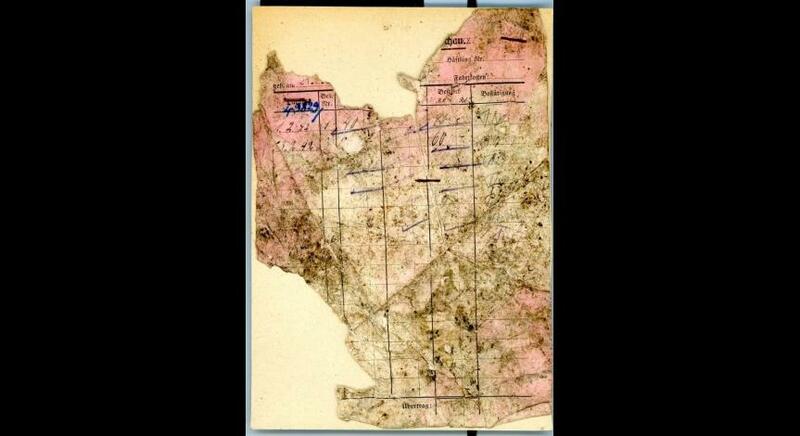 The prisoners of Majdanek were required to adhere to multiple procedures associated with arriving at the camp. For example, they were obligated to deposit their clothes and personal belongings which were stored in the movable property file (Effekten-Verzeichnis). Valuable things were also stored. 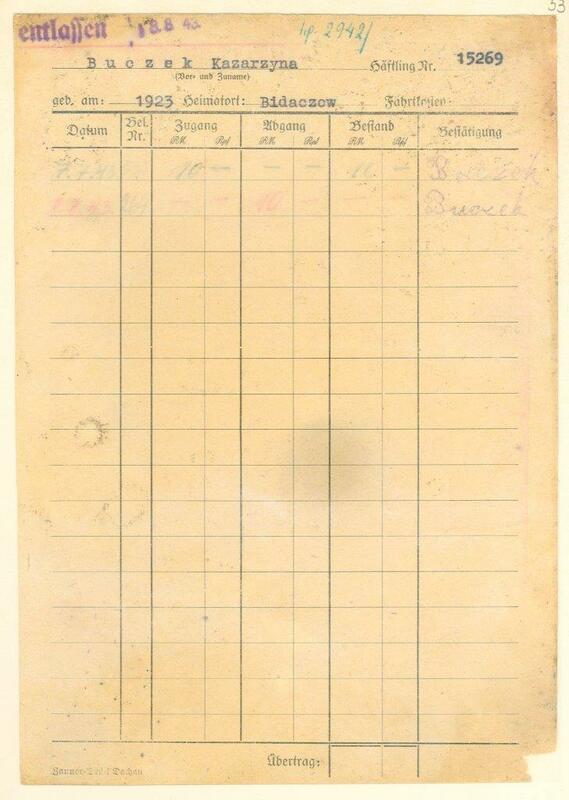 A separate file was intended for accounting sums of money deposited by prisoners. As a valuable source material, it can be used to recreate interesting stories of people imprisoned at Majdanek. Only those who had cash or other valuables (which they had to deposit after arriving at the camp) with them were registered. Sometimes prisoners tried to hide their property. Most often, however, it became a pray to prisoner functionaries and SS officers supervising the acceptance procedure. 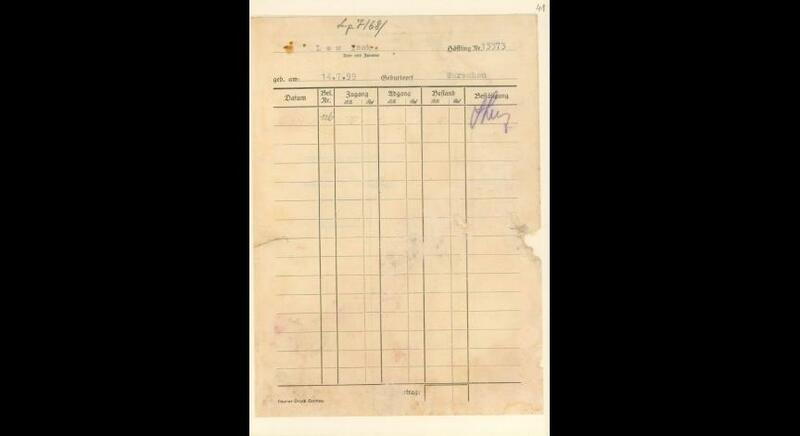 The money, which was not recorded, was described by German camp administration as ownerless. 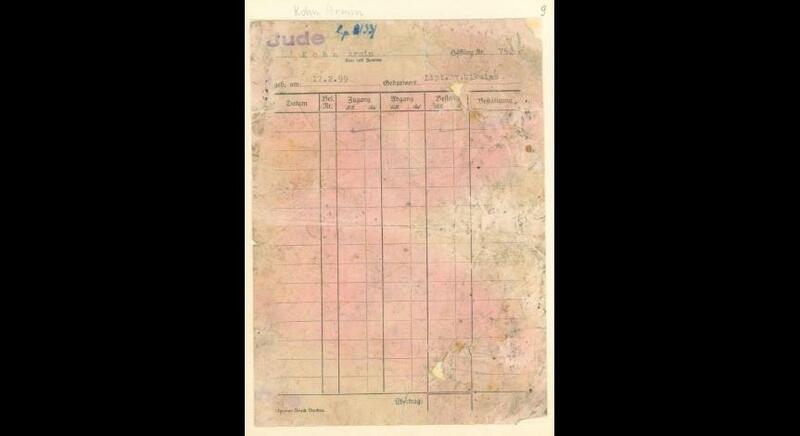 It is worth mentioning that almost all KL Lublin money file was carried out on forms intended for the Dachau concentration camp. 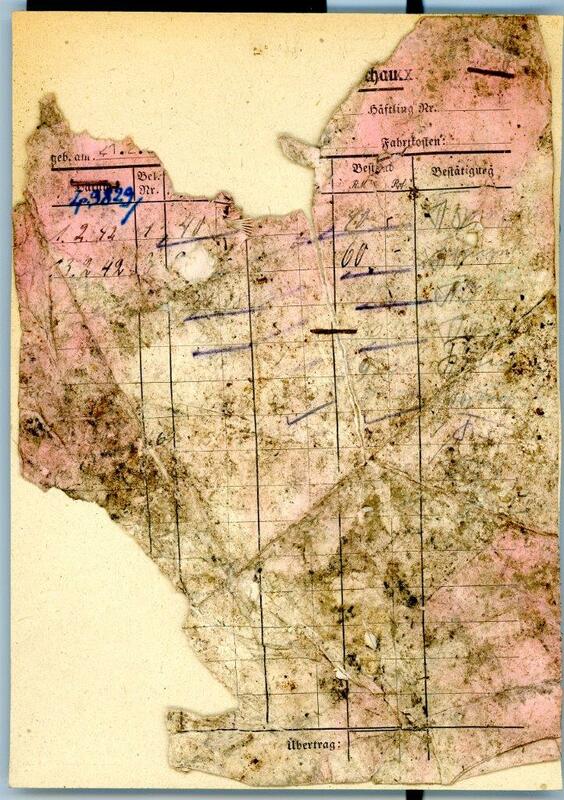 The registration of money on personal cards at the Majdanek concentration camp began on 1 February 1942. At that date, the deposit of 40 Reichsmark was registered by one of the Soviet captives. 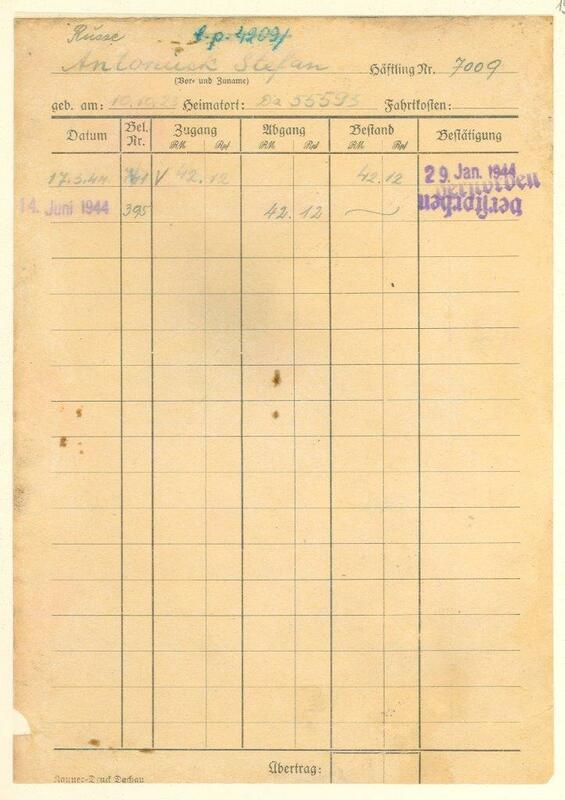 This operation was booked and designated as Beleg number 1 in the main account book (document no.1 below). Later, the money was paid into this account eight more times. The next group of prisoners consisted of Jews from Slovakia. 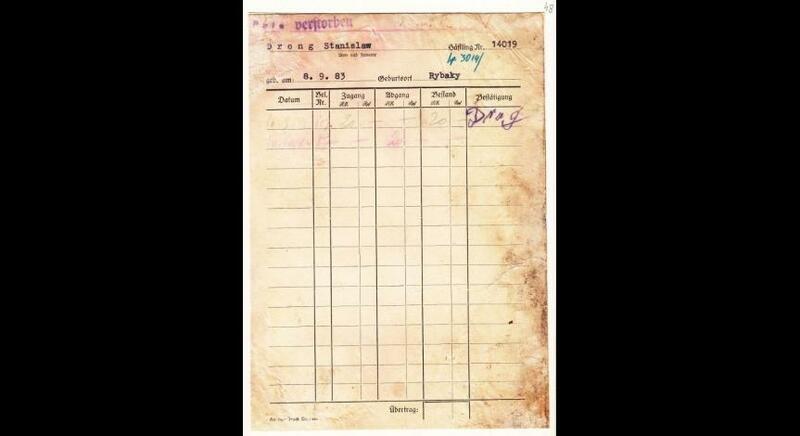 Armin Kohn who came to Majdanek on 29 March 1942 and received number 752 brought with him eleven marks and sixty-two pfennigs (document no. 2). On 30 April 1942, at the railway ramp on the grounds of a labour camp at the so-called Flugplatz, two trains stopped. One from Terezin, going to Piaski and Izbica, another from Vienna heading for Włodawa. 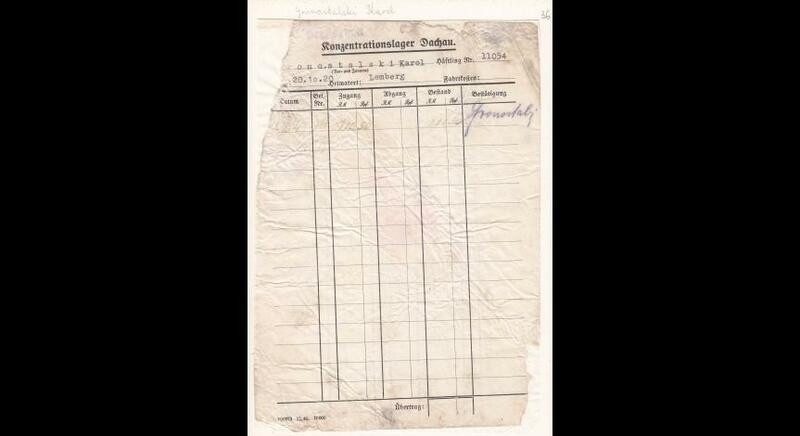 From these transports, six hundred men fit for work were selected and driven to Majdanek. The money that they deposited after arriving at the place was designated as Beleg number 26. 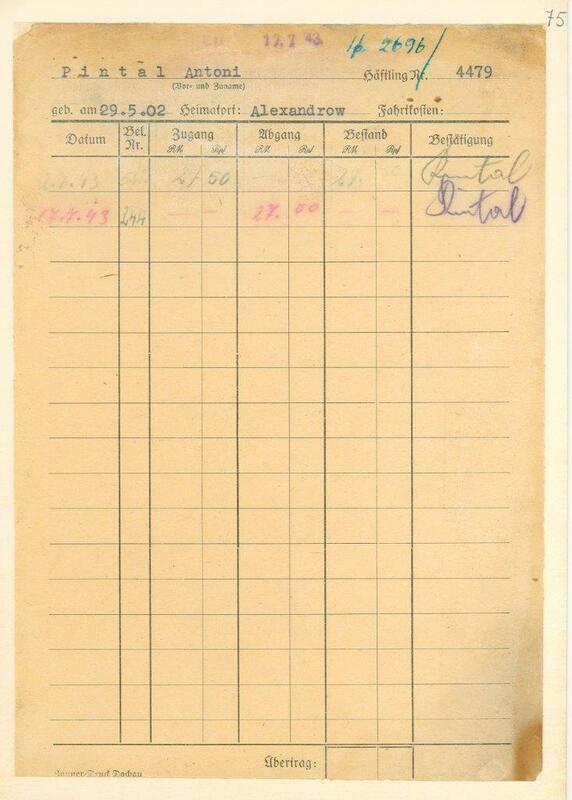 Among others, Alexander Buchsbaum from Vienna numbered as 6276 arrived in this transport (document no. 3). That less than forty-year-old man died in less than three months – on 24 July 1942. 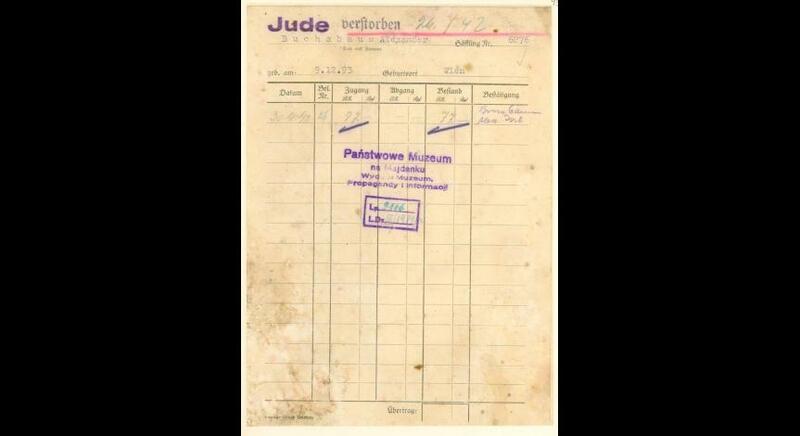 After his death, his money was transferred – like the money of other Jews – to the account of the Third Reich. On 6 May 1962, several groups of prisoners that have been diversified in both quantity and nationality were imprisoned at Majdanek. Among them, there were transports of German and Polish Jews, including those from Lublin. The latter included 46-year-old Uszew Strazmeister. He deposited five Reichsmark. 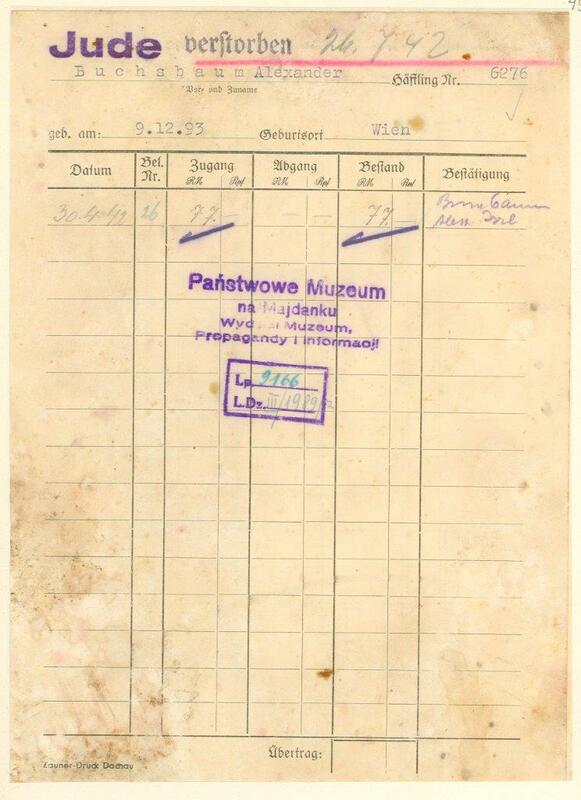 The document certifying this operation is one of the best-preserved original sources related to KL Lublin (document no. 4). 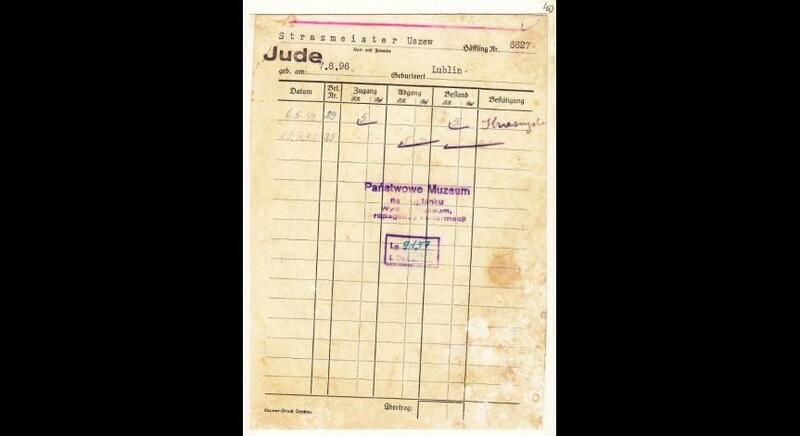 The richest collection including eighty four money files concerns Warsaw Jews brought to Majdanek on 15 August 1942. Unfortunately, it contains no information about a further fate of newcomers. 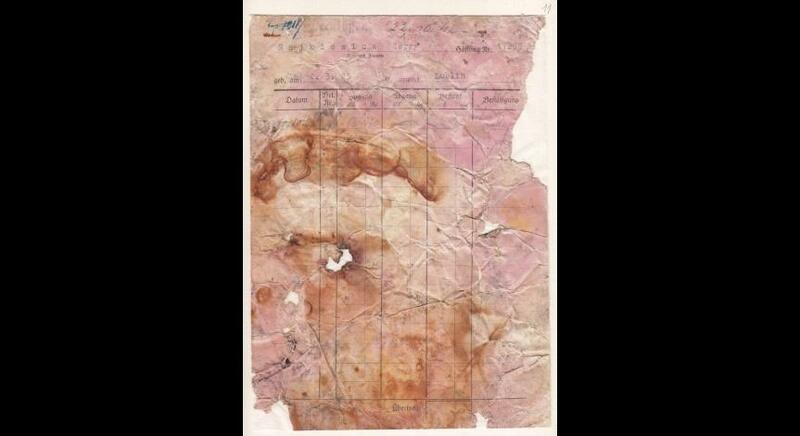 Below, as an example, there is the file of Isaak Lew (document no. 5). Summer and autumn of 1942 was the time when transports of peasants from the Lublin region, arrested mainly for not supplying contingents, arrived at Majdanek. Most of them did not return to their homes and died at the turn of 1942 and 1943. 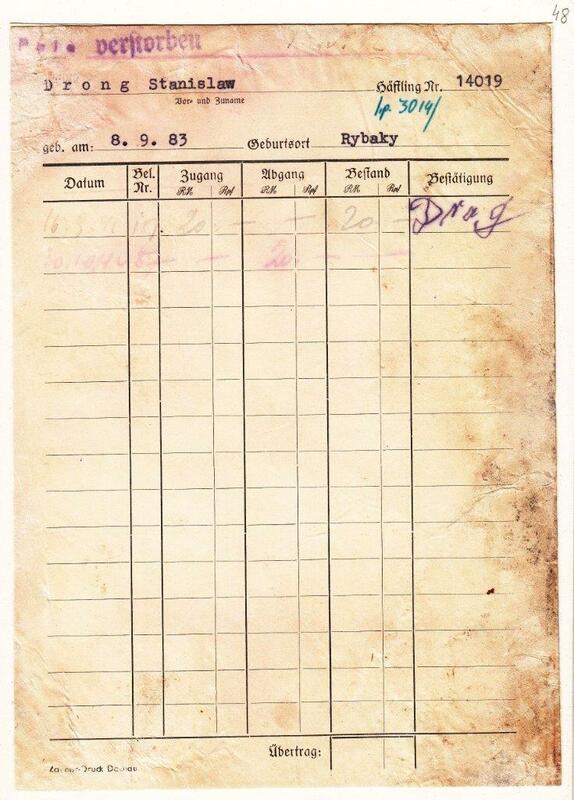 Stanisław Drąg from the village of Rybaki who was sent to the camp on 16 September 1942, numbered as 14019, survived less than a month. At the time of setting up the evidence, he deposited twenty Reichsmark (document no. 6). On 10 October 1942, the Germans carried out a pacification action in the district of Dziesiąta in Lublin. Several hundred people were arrested, over 100 of whom were driven to Majdanek. Over a dozen people from this group died, but the majority survived, and then fortunately regained freedom. It happened to Jerzy Rajkiewicz who returned home on 22 October after spending twelve days in the camp. 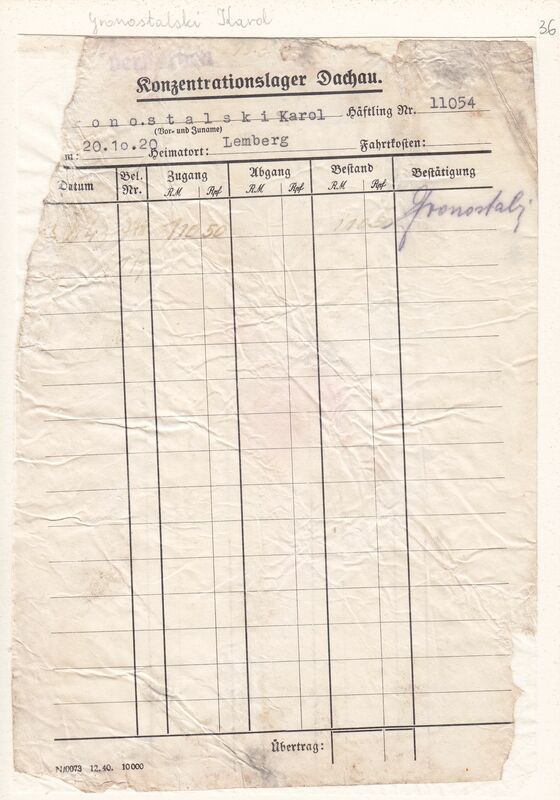 Before he left the area of KL Lublin, the camp administration had returned him one hundred sixty-four marks and seventy pfennigs which he had deposited after arriving at Majdanek (document no. 7). On 1 October 1942, a women's camp was established at Majdanek. The first prisoners were the inhabitants of Goraj, Dziesiąta or Wieniawa (quarter of Lublin). 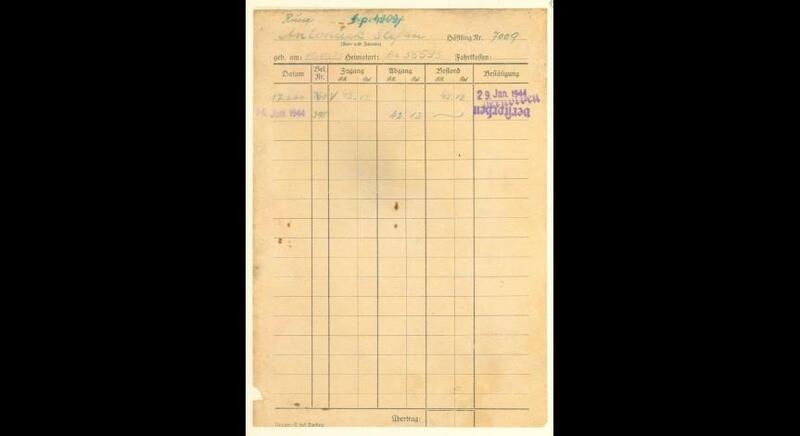 Their names and numbers were entered into the camp records after a month, on 30 October. 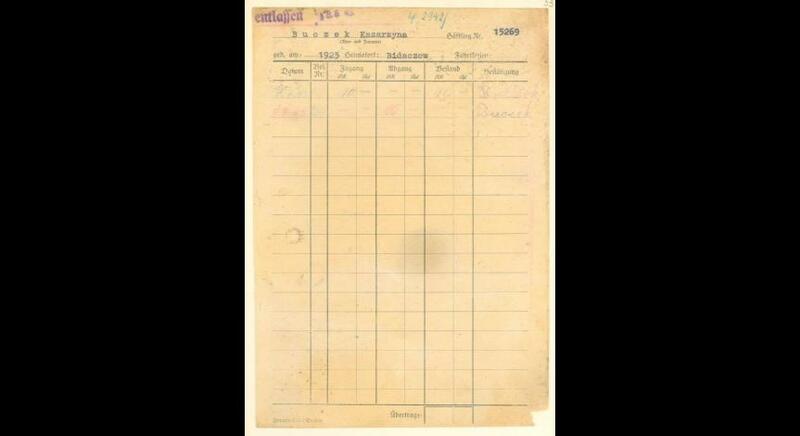 At that time, the money file of (among others) Katarzyna Rychlik from Dąbrówka was registered (document no. 8). The woman regained her freedom on 6 May 1943. At the beginning of January 1943, transports of political prisoners from Radom, Warsaw, Lwow and other cities began to arrive at Majdanek. They were also obligated to deposit their money in the camp. Among others, Karol Gronostalski arrested in the previous year in Lwow came in one of these transports. 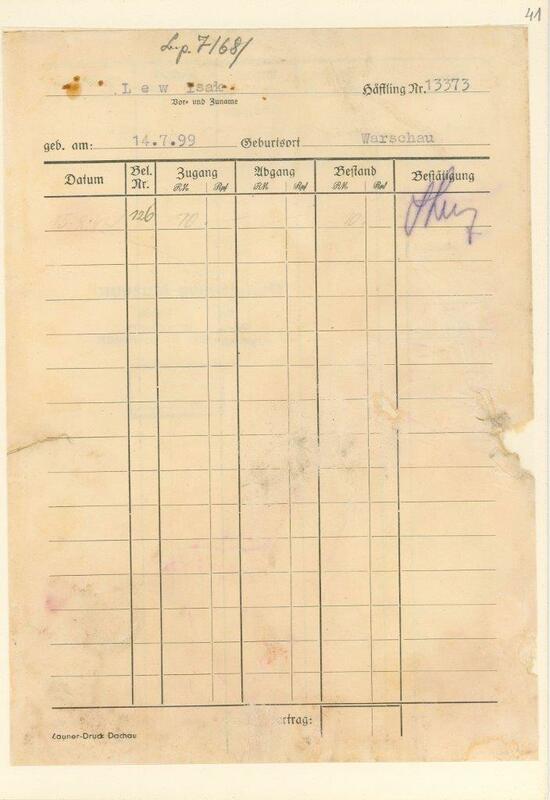 He came to Majdanek on 6 February with one hundred and ten marks and fifty pfennig and died in the camp only a month later (document no. 9). In the summer of 1943, the pacification in the Zamość region intensified. Its outcome was an influx of people displaced from these areas to the camp. One of the peasants was Antoni Pintal from Aleksandrów, who deposited his money on 2 July. In the file, next to his name, the deposit of twenty-seven marks and fifty pfennigs was recorded (document no. 10). Pintal stayed at Majdanek until 17 July. 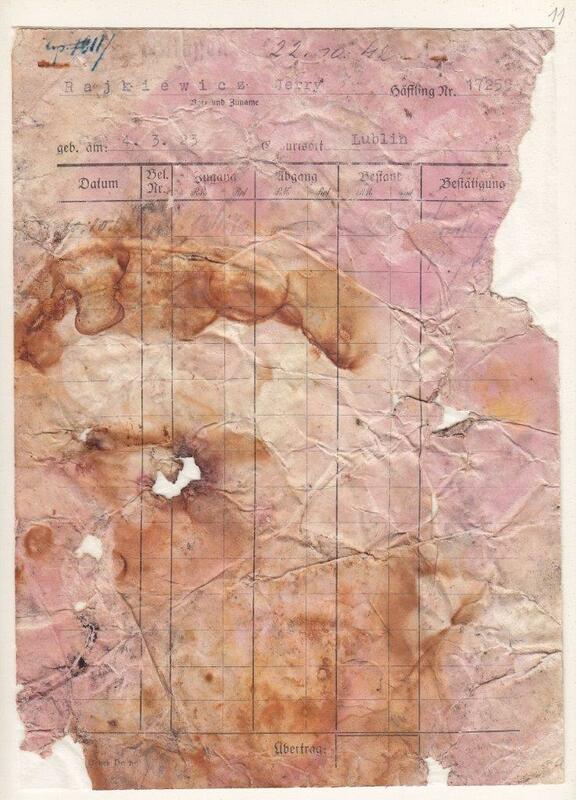 On that day, the stamp "entlassen" ("released") appeared on his document. Pintal, however, was not released. He shared the fate of hundreds of other displaced persons, first getting to the transit camp at Krochmalna street and then to Germany where he was sent to forced labor. At that time, Polish Central Welfare Council started efforts aimed at releasing the rural population from the areas covered by pacification. As a result of negotiations with the governor of the Lublin district, it had been established that displaced persons remaining at Majdanek would regain their freedom until 13 August 1943. 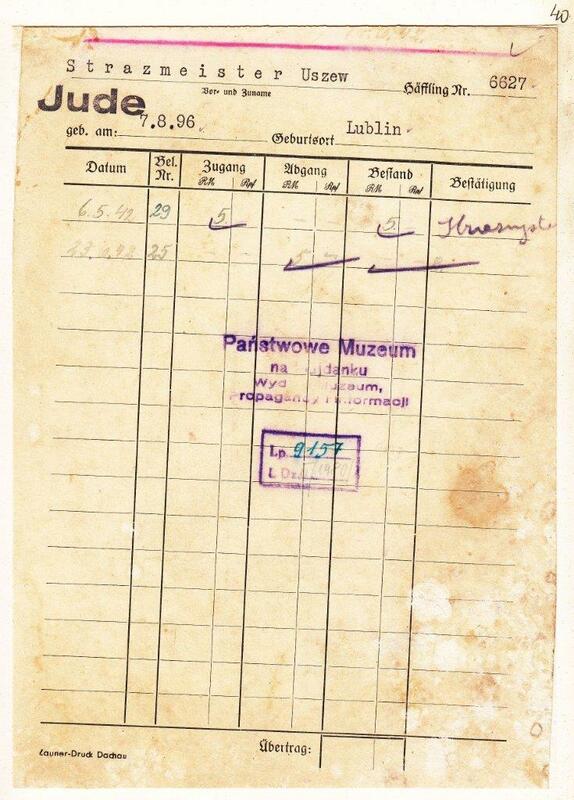 Katarzyna Buczek from Bidaczów after a month and one day spent in the camp left its area on 8 August (document no. 11). 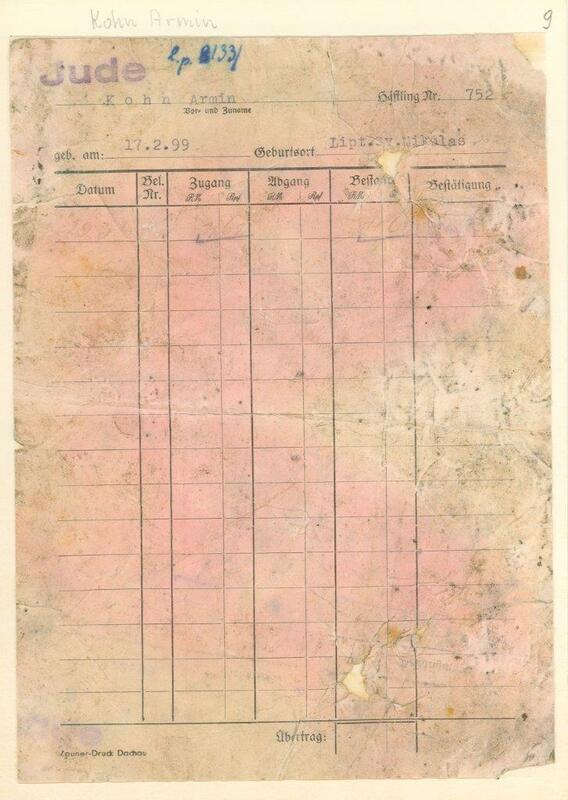 In December 1943, as well as in January and February of the following year, transports of seriously ill prisoners from the camps in Sachsenhausen, Dachau and Buchenwald, including the sub-camp: Mittelbau-Dora (known for the most disastrous living conditions), arrived at Majdanek. These prisoners were close to death (often in agony). After reaching Majdanek, they were sent to the district where they died en masse. Such a fate met Stefan Antoniuk, a 21-year-old prisoner number 55593 arriving from Dachau. 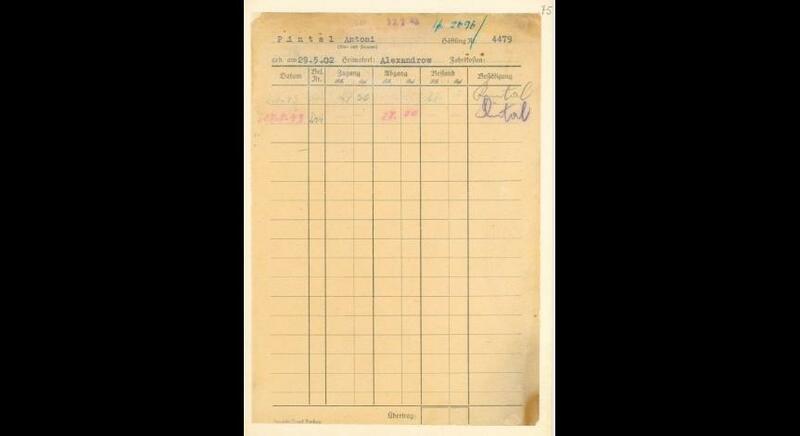 In Lublin, he received number 7009 and was entered in the register on 7 January 1944. Antoniuk died in the infirmary after less than three months. 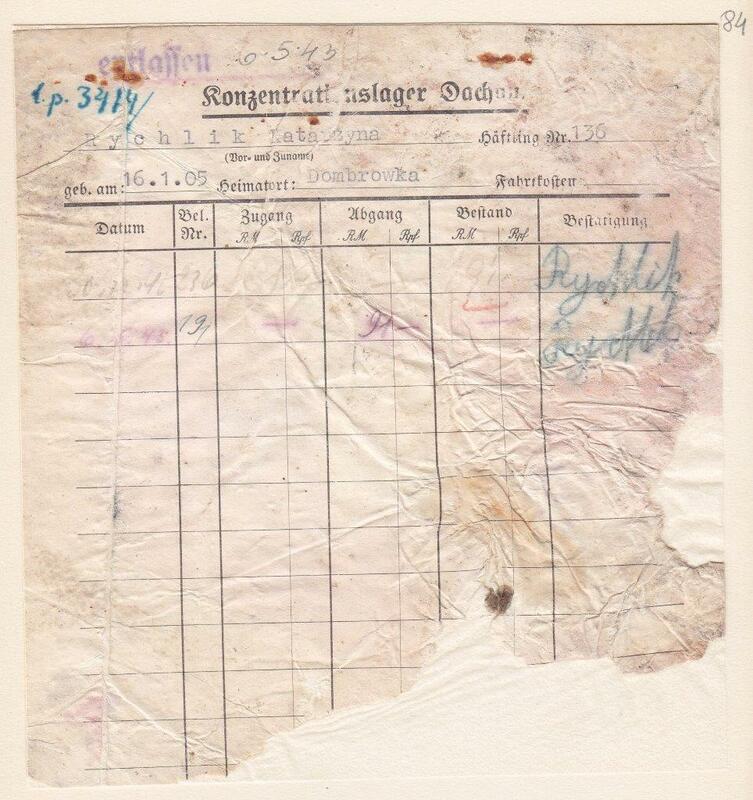 On 17 March, his money – forty-two marks and twelve pfennigs – was transferred to the camp fund, and then on 14 June transferred to the Reichsbank account (document no. 12). 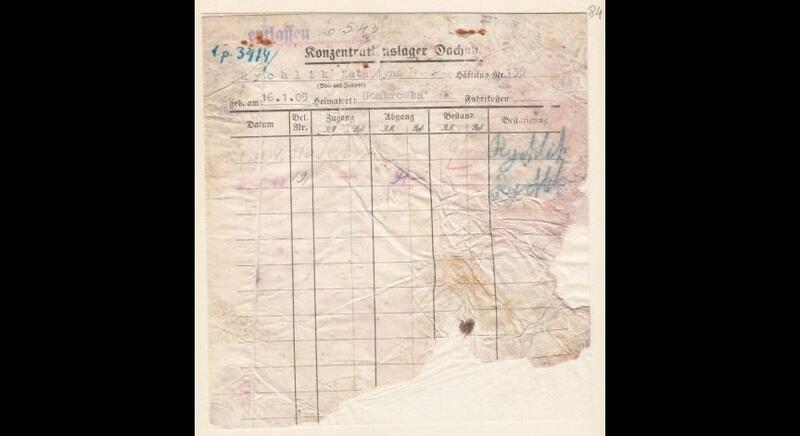 Most of the financial files were burnt down in the pits on 19-22 July 1944. Among those survived, several dozen best-preserved flies were taken over by the Polish-Soviet Commission to Investigate German Crimes Committed at Majdanek. These files, as well as a whole range of other documents and exhibits were taken to archives and museums in Moscow and St. Petersburg. Only what remains after the German evacuation and the Soviet appropriation is today an archival resource of the State Museum at Majdanek. The collection, referred to as the prisoners' money file, currently consists of 2515 files stored under the APMM Id 26 signature. This is approximately 5% of the estimated number of cards issued until the end of camp functioning.